In 2017, the Philadelphia Eagles hoisted their first Lombardi trophy in franchise history with a victory over the New England Patriots in Super Bowl LII. The team followed their win on the field with an unprecedented W in the offseason. Before their title defense began, Lincoln Financial Field added a Ross Acuity production switcher and XPression graphics package. 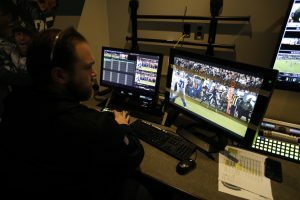 More importantly, it became the first venue to purchase and install two Sony HDC-4800 UHFR cameras and a PWS-4500 production server for permanent use during home games. In addition, Share Play capability in the Sony 4800 network allows cross-functionality between the in-house camera feeds and those of the broadcast networks. 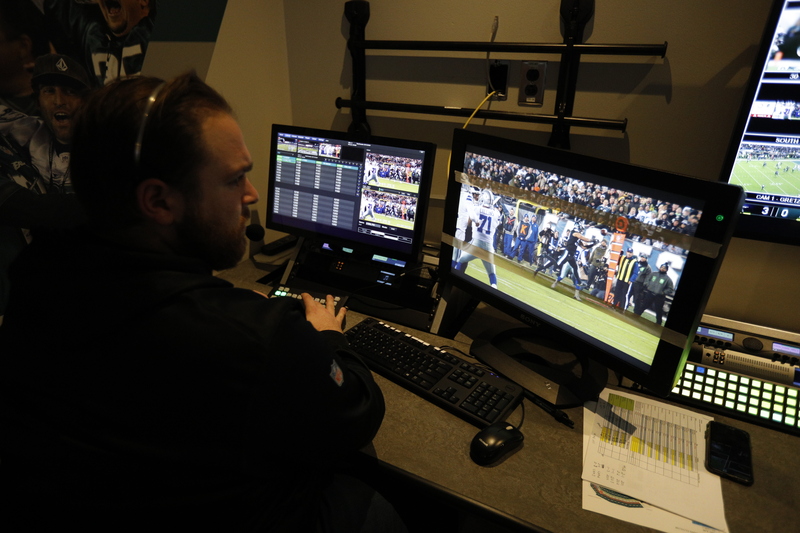 In 2014, Lincoln Financial Field’s video-control room received a facelift with the help of Sony and Diversified. For live productions, a fleet of high-frame-rate (HFR) Sony PMW-F55 cameras were installed, but they came with certain challenges. Eric Long directs the videoboard show during Eagles vs. Cowboys on Sunday Night Football. Because of budget constraints, the Eagles relied on existing gear. Sony brought the year-old HDC-4800 to the stadium to demo during a playoff game against the Minnesota Vikings last season. The 4800 allows replay operators to use shots in 4K ultra-slo-mo. On the playing field, the Eagles have a secret weapon. 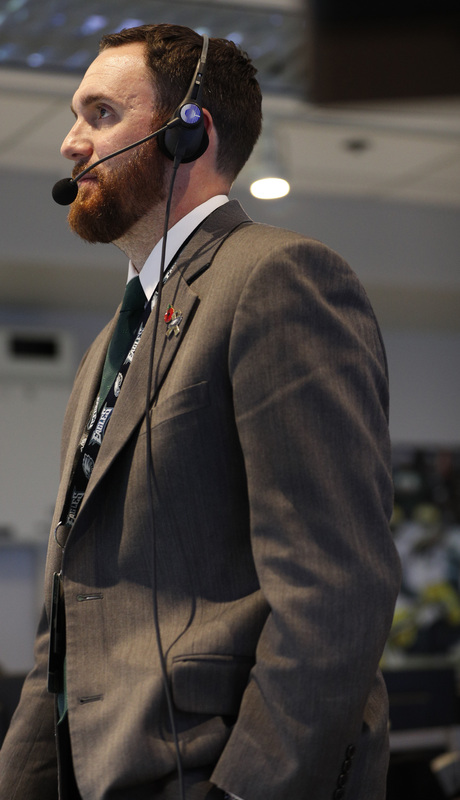 Although engaging highlights of Carson Wentz completing a pass through a tight window may dazzle fans, the 4800’s in low-end-zone positioning are paramount in an official review. The Share Play function not only gives Long and his crew alternate camera angles and footage, but also frees up space in the control room and enhances workflow in a hectic, fast-paced environment. 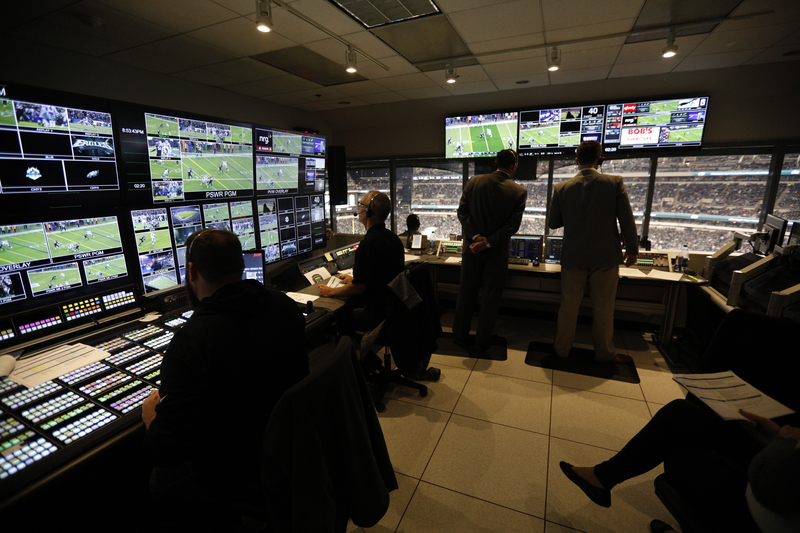 The control room at Lincoln Financial Field houses a Ross Acuity production switcher and Xpression graphics package. In addition, Share Play permits access to the camera feeds used on the nationally televised broadcasts on NBC, Fox, and ESPN. With this ability at his disposal, Long has yet another feature in his arsenal for overturning questionable calls. As the Eagles reach the tail end of their 2018 campaign, the 4800’s will be completing their first full season at Lincoln Financial Field. Sony expects these cameras to become more commonplace with increased use.